what you got to do to fix her mate? also nice result bet its an animal to drive! new viscous coupling. it works ok but has a small leak and doesnt seem to be working 100%. engine runs sweet though, just needs a new thermostat which i have already! the part has been discontinued though, and as you can imagine, second hand parts arent exactly easy to come by. think someone is currently trying to fit the equivalent ep95 part so hopefully it fits. thats too bad about yours mate, i havent seen a drivetrain issue over here yet touch wood. 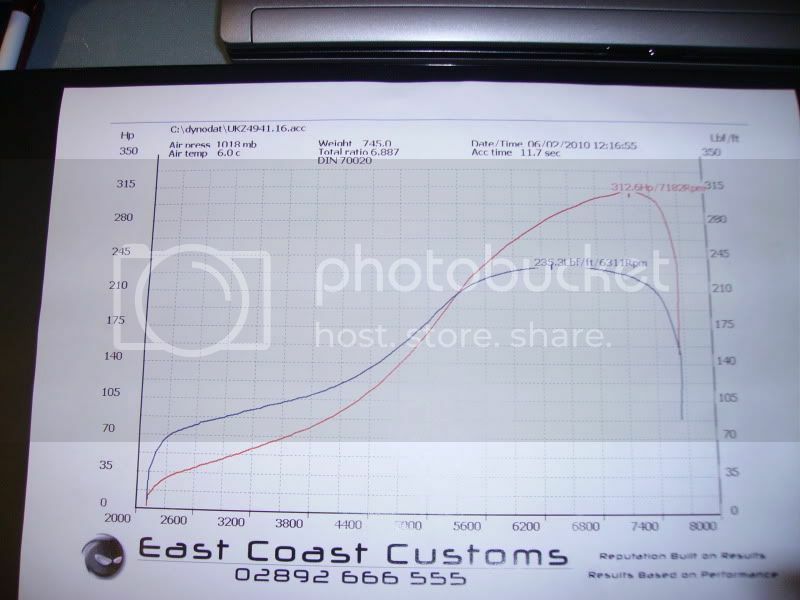 big thanks to chris for sorting the car so far, its still a work in progress, wouldnt hold 1.6 bar yesterday but its just the avcr dicking about(loosing patience with that thing), it still made 300 at 1.4 and power was still rising at the limiter so more to come! Heading to the Toyota vs. Honda drag day? full boost at what rpm ted? sounds good mate 4750 is still pretty damn low! must be quick, i got a vf24 in the end but i think i will stick with td04 now, found one with 1000 miles on it. Duncan , I also read somewhere that the 4wd 4e's are 100bhp, not sure if it was in a starlet brochure though? Jay would know for sure. I would love one, real handy where I live in the winter, with snow and ice there is no access to our house unless you have a 4wd! power still rising when limiter cut in!